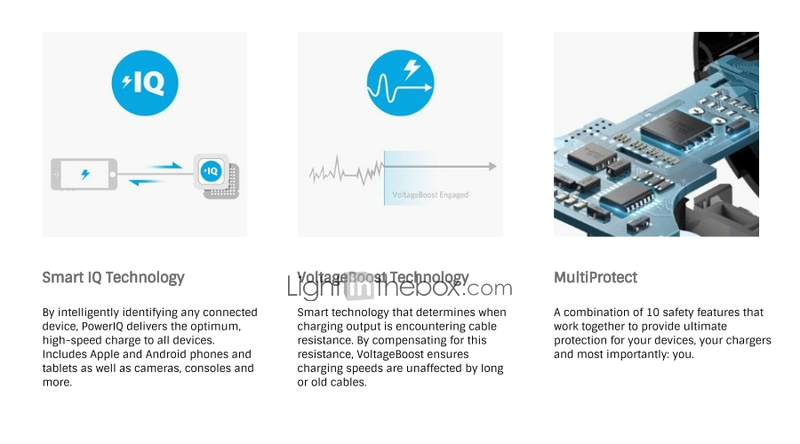 Advanced Charging Technology: SmartIQ and VoltageBoost combine to provide the fastest possible charge up to 2.4 amps per port or 4.8 amps overall. 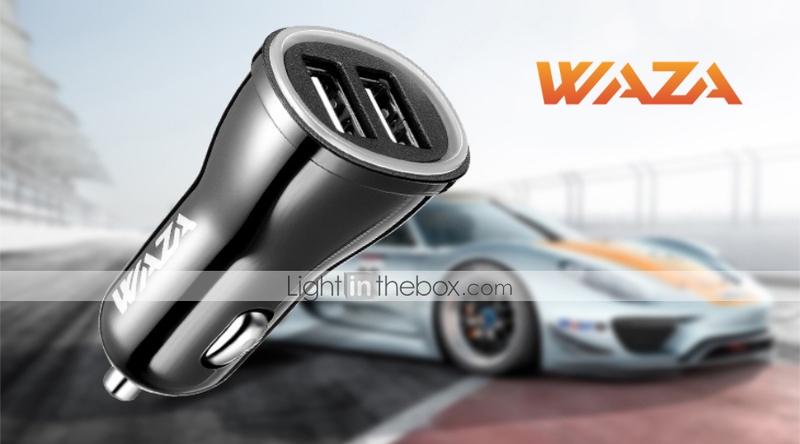 Premium Design: Soft LED, ultra-compact build, twin USB ports, and high qulity shell ensure maximum convenience and a sleek finish. 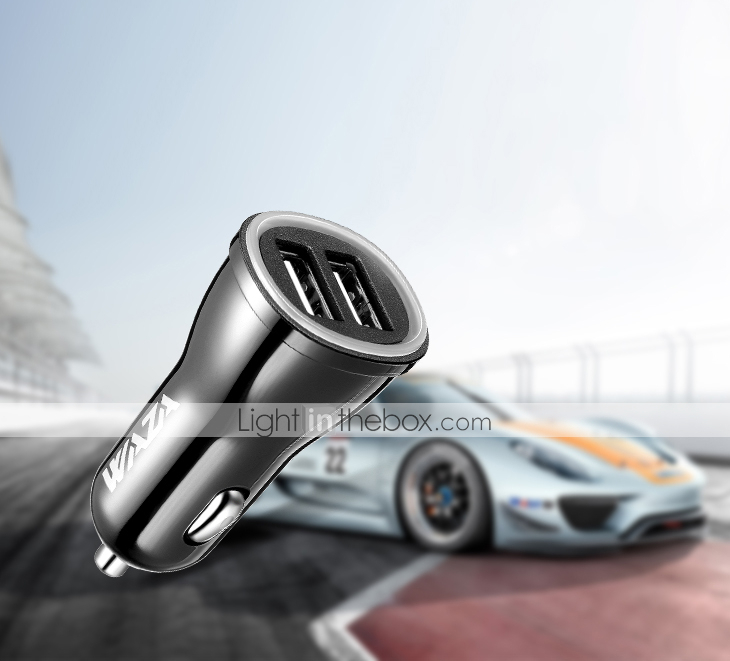 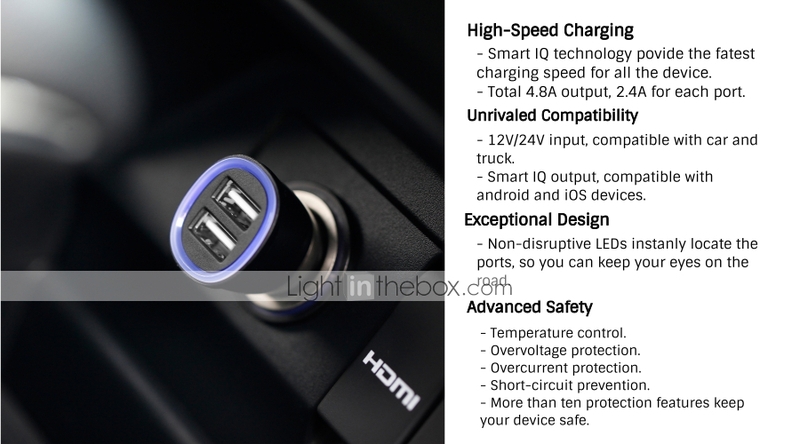 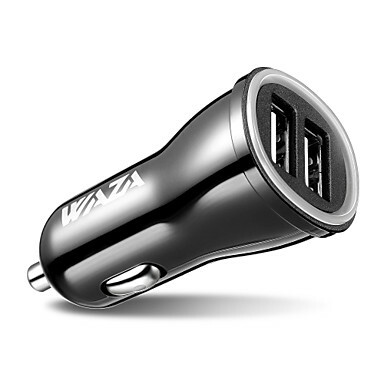 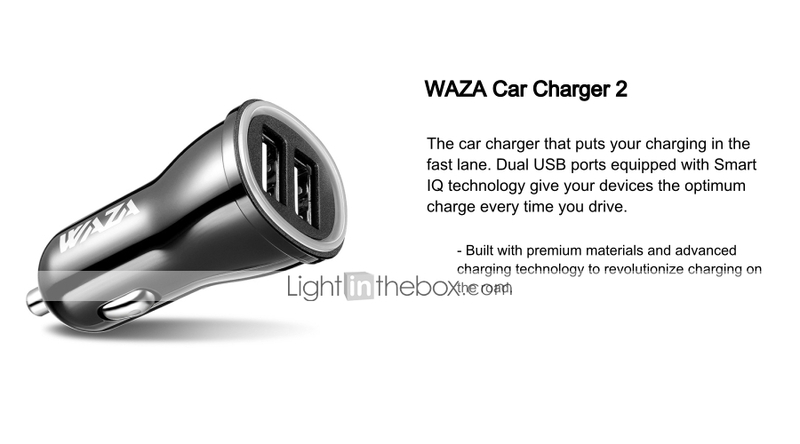 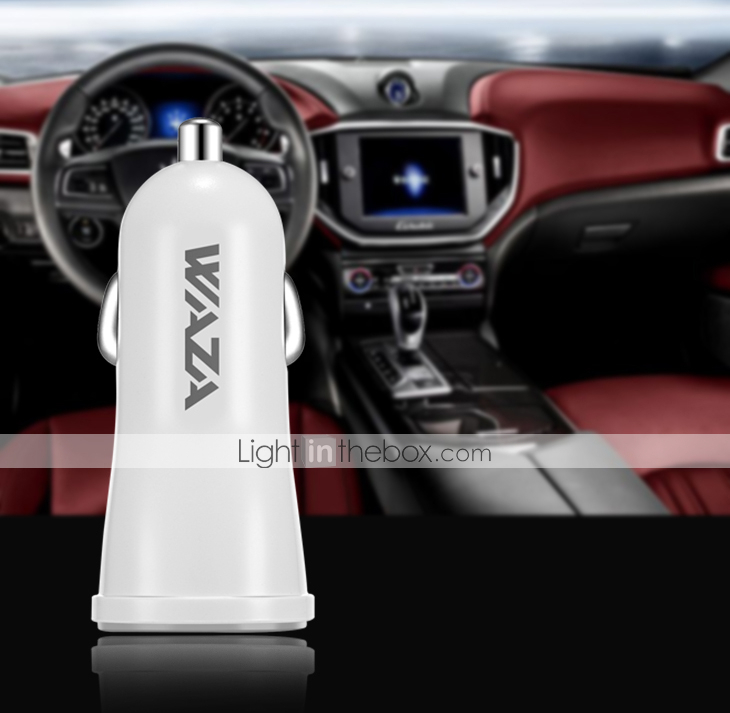 What You Get: WAZA 24W high qulity Car Charger, our worry-free 12-month warranty and friendly customer service.